“Desperate Man” is First Single, Co-Written with Ray Wylie Hubbard. In a video message speaking directly to his fans, 2-time CMA Album of the Year winner Eric Church told his faithful Church Choir [Church’s official fan club] earlier this morning: “It’s been a while; I just want to say I have missed you. I have good news…the album is done, and we are back. It’s called Desperate Man and the first single is called ‘Desperate Man,’” with the Choir having access to listen first through their login. Church continues, “Just like last time – just like Mr. Misunderstood – if you’re in the Church Choir, on October 5thyou’re going to get the album,” as Church renegotiated his record deal with EMI Nashville leading into Desperate Man to include his fans. Many may recall in 2015, Church stunned industry and fans alike with the surprise release of Mr. Misunderstood,giving it away to his fans first without interviews, hype or promotion. Church Choir members spoke directly to local television on how they received the record, being the first to confirm its existence. Church said then, “Everyone is so focused on your first week. But I am more concerned with week 80 than week one.” Mr. Misunderstood went on to win CMA Awards’ Album of the Year in 2016 and reached RIAA-Platinum certification earlier this year. Never satisfied with the status quo, Church constantly challenges himself as an artist and is applying that same philosophy to the Choir changing it to make it better and even more inclusive. Membership tiers are simplified to two options: paid and free. Members of the Choir will also be in control of what music and bundles they receive upon signing up and at renewal. Members who annual renew or auto-renew, and new fans who sign up will now receive an album of their choice from Church’s catalog – in addition to all the benefits paid members currently receive including access to purchase pre-sale tickets, chances for meet and greets, opportunities to attend Church Choir events and much more. The free tier of Church Choir membership includes access to the online community, email updates and special offers. By-passing the gatekeepers and speaking directly to the fans is fundamental to Church’s success and he is proving it once again with reconfiguring the Church Choir in advance of the release of Desperate Man. 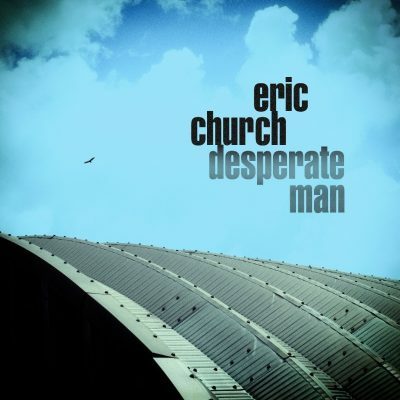 Stay tuned to EricChurch.com for more information. Find the most current Eric Church tour dates from our partners at Country Music On Tour, your trusted country concert ticket source! Country Music News Blog participates in advertising programs that help fund the operation of this site. For more information please visit our privacy statement. This entry was posted in Eric Church, New Music, Press Releases by Shauna "WhiskeyChick" Castorena. Bookmark the permalink.